We can handle your registration for you if you want to take part in Granfondo Tre Valli Varesine on Sunday 25th September 2016. On Tuesday 27th September you can follow the Tre Valli Varesine UCI Men’s Road Europe Tour also. Who usually organises the professional road one day-race Tre Valli Varesine every year now organises the Granfondo Tre Valli Varesine also. The Granfondo Tre Valli Varesine is a “long-distance” cycling recreational race that departs and arrives in Varese. Do you want to ride in the race with us ? The start and the finish line are in Varese, 5 kilometres – 3 miles far from our hotel. Long route: 156 km – 97 miles long, elevation gain 2.500 metres – 8,200 feet. 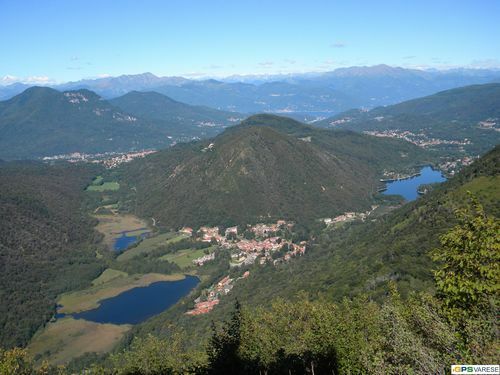 You will cross several hills, passing through four valleys (Valceresio, Valmarchirolo, Valganna, Valtravaglia) and near five lakes (Lake Lugano, Lake Maggiore, Lake Ganna, Lake Ghirla, Lake Brinzio). On Tuesday 27th September 2106, the Tre Valli Varesine UCI Men’s Road Europe Tour will take place. To proceed with registration for the events we invite you to enrol.